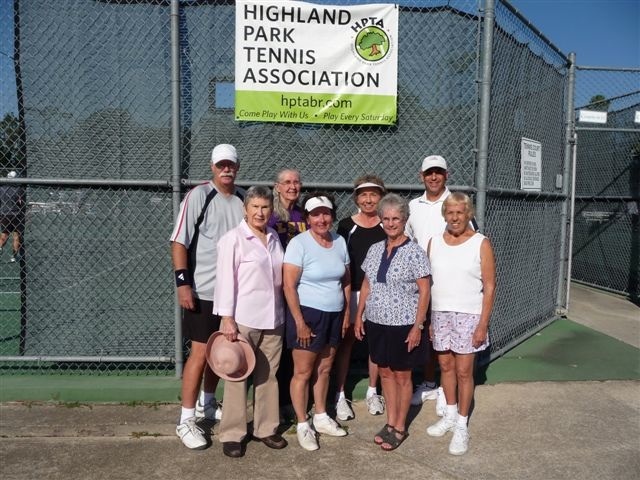 Great memories and terrific stories were shared at HPTA’s 34th anniversary and “Membership Appreciation Celebration” as several charter members joined in the fun. Front row, left to right, are Bettye Burford, first HPTA president, Alice Robertson, Mary Lynn Segalla, and Jo LeBlanc. Back row, left to right, are Louis Bordelon, Liz Dickson, Lucille Hicks Doane, and Rusty Jabour, HPTA president 2010-11. HPTA’s 34th anniversary celebration on Oct. 23, 2010, was a great success, attracting more than 100 members and featuring a reunion of several charter members: Bettye Burford (HPTA’s first president), Alice Robertson, Jo LeBlanc, Mary Lynn Segalla, Lucille Hicks Doane, Liz Dickson and Louis Bordelon. 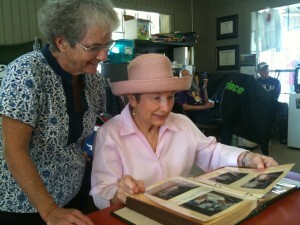 The original members brought several large scrapbooks, full of photos, letters, newsletters, and flyers to share with current members. See our HPTA History page. HPTA’s interesting story begins with founder Eleanor Owens (1929-2004) who started the Highland Park round robin as a teaching tool for her ladies’ class. Our charter members shared some wonderful stories, including one that really captured the enthusiastic spirit of our founders who were determined to play tennis even if the courts weren’t completed yet in 1977. What to do? 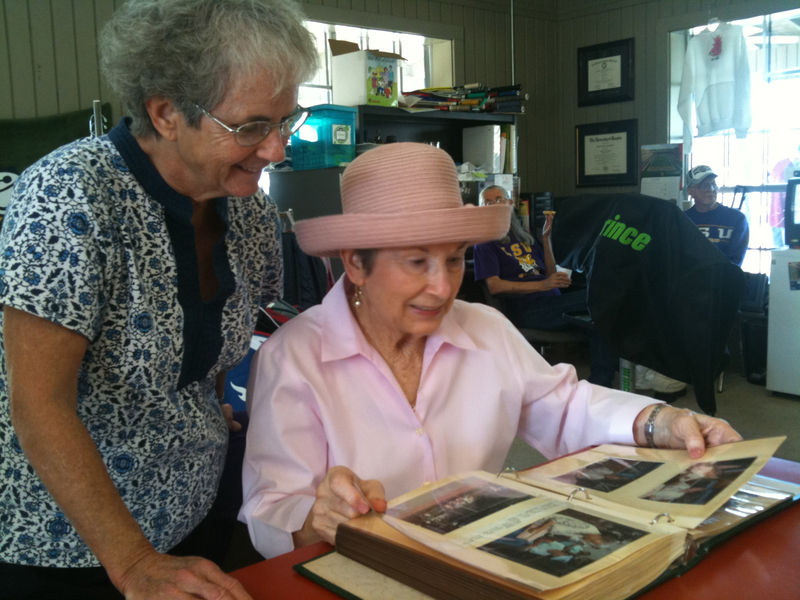 Charter member Mary Lynn Segalla (left) and Bettye Burford, HPTA’s first president in 1977, enjoyed HPTA scrapbooks and storytelling at the 34th anniversary celebration at Highland Park. Nothing stopped our founding members from playing then, and nothing stops us 34 years later.